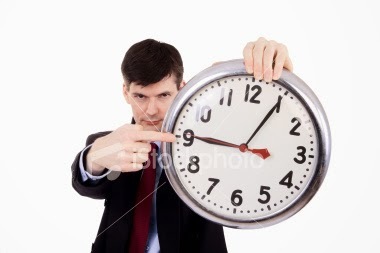 gets filled in a specified period of timeor your pizza is free? emergency. How does it get challenged? choose doctors as his target to legislate promptness? 4 hour window and then still come late? not be paid if they run late? If they get stuck in traffic? and their schedule gets thrown off? "I'm sorry Mrs. Smith, I know you came from 50 miles away after hiring a babysitter to watch your handicapped son, and I'm truly sorry to hear about that accident closing down the Beltway this morning, but you're late, and if I see you now, I'll be late for the rest of my appointments today, and I won't be able to bill for them, and there is the matter of my mortgage, the kids' tuitions, and my student loans, not to mention dinner at the steakhouse and my BMW lease. Please do schedule another appointment to see me. I imagine you guessed that I asked you to come in to discuss your biopsy results, and indeed they did show a particularly aggressive form of cancer with a poor prognosis, but we'll go over that when your appointment is rescheduled". 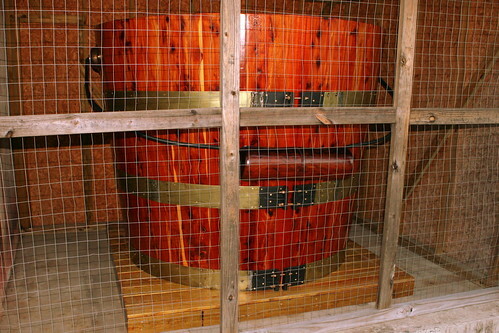 Insurance (or Not), Flotation Tanks, and Involuntary Committment. This is an around-the-web post. Over on Clinical Psychiatry News, I have article up about the survey on "Who are the Mentally Ill?" I talk about how the survey was done and what findings there were, along with a few of my thoughts about those findings. Click Here. My post on Why Psychiatrists Don't Take Insurance is up on KevinMD. Lots of comments on Shrink Rap, feel free to comment to a broader medical audience over there. Click Here. Over on Clinical Psychiatry News this week, Clink is writing about recreational flotation tanks and their comparison to sensory deprivation. I suggested the Shrink Rappers take a field trip to a Flotation Tank; it could be an extension of our field trips to go on Segway Tours. Clink says you can't fit a Segway in a flotation tank. What a kill joy. Click Here to read her article. Since involuntary commitment is always a popular topic here on Shrink Rap, I thought I'd steer you to two blog posts. One of our California colleagues, Dr. Reidbord, wrote about the "5150" certification in his state and whether fear of being committed keeps people from seeking care. And a young trainee in the UK, Dr. Langford, looks at forced community (outpatient) treatment on his side of the pond. Oh, some of the research he quotes is from our side as well. Interesting that there is no forced medication for outpatients there. For anybody trying to read our Clinical Psychiatry News columns, I know you get a logon page when you click on the headline. I've got an email in to our editor to see if we can get that fixed. Registration is free, but it's always a pain to click on a link to a logon page. Thank you for your patience. 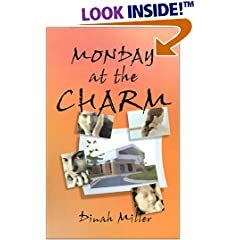 First, I want to tell you that I have a conflict of interest when it comes to discussing both Dr. Kupfer and Dr. Frances: they were both my teachers, and they are people I hold in esteem. Dr. Kupfer ran a summer program in psychiatry for college students, the Mellon Fellowship in Psychiatry for Undergraduates, and in the summer of 1983, as a college student aspiring to go to medical and become a psychiatrist, I was one of 8 students from across the country to receive one of these grants. It was an opportunity that opened doors for me and changed my life, and I remember Dr. Kupfer as a warm, kind teacher and I remain grateful the wonderful opportunity he gave me. Dr. Allen was one of my professors at Cornell University Medical College in the late 1980's. He was one of the distinguished gentlemen in a white coat at the front of the lecture hall, and while I don't recall any personal interactions with him, he was part of the corps of people who taught and influenced me and held my interest for psychiatry in a environment where one of my attendings told me I was wasting my life and would do more good as a plastic surgeon than I could ever hope to do as a psychiatrist. They can fuss about DSM 5; as their former student, they still hold my respect. 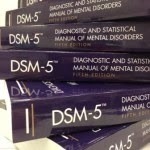 I will not be purchasing the DSM 5. Before I copy and paste Dr. Frances's discussion of the latest DSM-5 conflict of interest, I want to tell you something that was omitted from his post that I'm pasting below. Dr. Frances was the Chair of the DSM-IV Task Force. 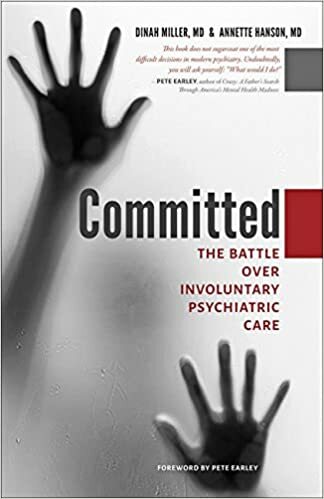 He's taken up forces against the DSM-5, and in 2009, Dr. Kupfer was one co-author in article that publicly accused Dr. Frances of having a conflict of interest with DSM 5. Dr. Frances opened his commentary with the statement, "We should begin with full disclosure." It is unfortunate that Dr. Frances did not take this statement to heart when he did not disclose his continued financial interest in several publications based on DSM-IV. inally, Dr. Frances opened his commentary with the statement, “We should begin with full disclosure.” It is unfortunate that Dr. Frances failed to take this statement to heart when he did not disclose his continued financial interests in several publications based on DSM-IV. Only with this information could the reader make a full assessment of his critiques of a new and different DSM-V. Both Dr. Frances and Dr. Spitzer have more than a personal “pride of authorship” interest in preserving the DSM-IV and its related case book and study products. Both continue to receive royalties on DSM-IV associated products. The fact that Dr. Frances was informed at the APA Annual Meeting last month that subsequent editions of his DSM-IV associated products would cease when the new edition is finalized, should be considered when evaluating his critique and its timing. There is a new and strange twist that further complicates the sad DSM 5 saga. For some time, Bernard Carroll has served as an unofficial conscience of psychiatry, tirelessly exposing scientific sloppiness and ethical laxity. He recently made a new find, documenting that the Chair of the DSM 5 Task Force had failed to disclose a long-standing and significant financial conflict of interest. Here's what happened. While using his DSM 5 pulpit to strongly promote the value of dimensional diagnosis, the DSM 5 Chair (and several associates also working on DSM 5) were secretly forming a company that would profit from the development of commercially available dimensional instruments. And unaccountably, he failed to disclose this most obvious of conflicts of interest while simultaneously lauding the DSM 5 conflict of interest policy. A much more objective and informative commentary on the details and significance of this DSM 5 conflict of interest is available at neuroskeptic. The solution to the immediate problem couldn't be clearer--a full disclosure and explanation of what happened; an unconditional apology for all the mistakes that were made; an assurance that no one will profit financially because the new dimensional instruments will now be offered free for public use rather than being sold commercially; and the development of stronger APA policies, policing, and punishments to prevent similar future recurrences. Instead of doing the obvious right thing, APA has responded with its typical superficial public relations patois of damage control inanities. The blatant attempt at cover up exacerbates and institutionalises the initial mistakes--making them seem even worse than they are and further tarnishing the already tattered ethical reputation of APA. Mickey Nardo MD represents all the psychiatrists in the trenches who have had more than enough of incompetent APA leadership. He writes what is by far the best available psychiatric blog under the misleadingly modest nom-de-blog 1boringoldman. Nardo is definitely not boring and by my standards is not that old. Anyone who regularly reads his blog will agree that he lives up only to the last part of the title--he is indeed a mensch. After writing an enlightening series of blogs dealing with various aspects of this conflict of interest mess and APA's inadequate respite to it, Nardo developed a damning timeline connecting the dots, and finally wrote the following impassioned open letter to the APA Trustees and Assembly. His goal is to stimulate the APA at long last to do the right thing--to correct its persisting pattern of lax ethical oversight over both itself and the profession. Psychiatry is a noble and essential calling that should not be judged by the faltering incompetence of the American Psychiatric Association. Nardo's letter speaks for itself and cries out for a fearless self inventory and forthright response from the APA. We need to rectify the mistakes of the past if we are to establish the much needed higher standards for the future. It has been a dark time for psychiatry. Since the investigations of Senator Grassley exposed significant corruption and unseated three chairs of Psychiatry in 2008, there has been a series of disturbing exposures involving widespread ghost writing, guest authoring, and questionable clinical trial reporting; escalating widely publicized settlements by pharmaceutical companies involving psychoactive drugs and implicating prominent psychiatrists; charges of overmedication and entrepreneurialism; the drying up of the pharmaceutical pipeline; recurrent charges of ubiquitous Conflicts of Interest in high places; and an ongoing and divisive process that spanned the DSM-5 Revision process. Besides the gravity and frequency of the problems, their handling by the administrative levels in our specialty have played poorly in the eyes of the public and our currency is at an all time low. The recent revelations of multiple unreported Conflicts of Interest by the Chair and other members of the DSM-5 Task Force threaten to throw gasoline on an already uncontrolled fire. The public memorandum from the Speaker of the Assembly, Mindy Young, reads more like a defense attorney’s closing argument than an impartial investigation, and is being viewed as a "whitewash" – threatening to add to our reputation of sweeping things under the rug rather than thoroughly exploring and dealing with charges of impropriety. It focuses on the concrete impact of their actions, but doesn’t address the more cogent issue of conduct unbecoming persons of high responsibility – people we entrust to make important decisions. Our specialty is in a steady decline, much of it our own making, and we don’t need to help it along by ignoring this obvious issue of integrity. I have prepared below a Timeline of the major events in these revelations, with links to the salient documents involving Kupfer and his business associates. I have also provided a link to commentary by a respected weblog professional, Neuroskeptic. I ask you to read these materials carefully and appoint an outside panel that can review them independently. The Trustees approaching this issue with integrity, open-mindedness, and thoroughness will go a long way towards restoring our reputation as the ethical medical specialty that we need to be, and set a new precedent that Conflicts of Interest will be thoroughly pursued." I remember from medical school and the early days of my residency when the only medications available to treat psychosis were the neuroleptics. Patients hated taking them: the high potency medicines like Haldol and Prolixin left people rigid; they had pill-rolling movements with their fingers, cogwheeling in their joints, and they walked liked zombies. The lower potency medications like Mellaril left people drooling and sedated. I once heard these medications described as like having molasses poured into your brain. We'd cajole people in to taking them, and like all medications, there were some people who had no side effects and just got better, but that wasn't the usual. I soon realized that the best thing about Zyprexa (before it became evident that there were other problems which I will discuss below) is that most patients didn't mind taking them! They didn't look like zombies, or obvious psychiatric patients, and they didn't complain about feeling badly. It did feel like a revolutionary change for psychiatry. This I remember. So it was disappointing and distressing to realize that the novel anti-psychotics were associated with weight gain in some people, and sometimes a lot of weight was gained, diabetes, and lipid abnormalities. Sometimes I wondered about things that things that no one was asking. Were these problems reversible if the medications were stopped? I had a patient who became diabetic (in a rather dramatic fashion, I might add, with a glucose topping 700) and whose diabetes reversed when the medication was stopped. Was this true for everyone. And if someone took a very low dose on an as-need basis for severe agitation and catastrophic distress -- something I see a fair amount of -- either instead of a benzodiazepine or in addition to one -- but only too a low dose for a short period of time, were they subject to these problems? Or what about the people with schizophrenia in their later years who were going along just fine, living independently, seeing family, going to church, looking quite well, and happy with their treatment, but who also had diabetes and cardiac risk factors? I tried to change medications on a few of them to lower their risk, only the long-dormant schizophrenia became evident, and I decided to settle on a risk-benefit discussion and leave it to the patients. Dose does matter? And does the fact that lipid metabolism change mean that the patient is at greater risk for cardiovascular events, or is it just laboratory values we're discussing here? I pleased to see that I'm not the only one thinking about this and The Journal of Clinical Psychiatry, December 2013, published a study, "Cardiovascular Outcomes and Diabetes Mellitus Among Users of Second-Generation Antipsychotics" by Cirtome, et al. I thought I'd summarize the finding for you. This was a retrospective study done with data extracted from a database. All patients who started a 2nd generation antipsychotic from 2003-2010, who were 18-64 years old were included in the study, and an index date was determined, the patient needed to fill at least 60 days worth of medicine after the index date. The patient was followed until: 1. switch or discontinuation of the medicine 2. disenrollment from the health plan 3. end of the study, or 4. a cardiovascular event or procedure or the diagnosis of diabetes. Patients were followed on 4 medications: Risperdal, Zyprexa, Seroquel, and Geodon (no Latuda, Saphis, and the sample size for Clozapine was deemed insufficient) and the dose of the index drug was categorized as high, medium or low, though the range for Ability was given as 2-30 mg as medium and there is no smaller pill available than 2mg. The study included 138,523 patients. These divided to Risperdal: 22,357; Zyprexa: 17,428; Seroquel:58,807; Geodon:6,753 and Abilify: 32,890. In every cohort, the most common diagnosis was Major Depression, followed by Bipolar Disorder. 5.5% of patients or less in each cohort had a diagnosis of schizophrenia. All patients had medium level dosing of the medications. The diagnosis of diabetes required that the diagnosis be made after 45 days on the medication or the patients were excluded with the idea that it was likely a pre-existing condition. While previous studies have shown a decrease risk of diabetes with Abilfy and Geodon, this study did not find any significant difference between any of the medications for the risk of diabetes. The authors speculated that perhaps those at high risk for diabetes were preferentially prescribed Abilify because of the findings of past studies, and if such preferential prescribing occurred, then the patients on Abilify would at higher risk and the lower rate that would be expected could be washed out. It was speculation and I wasn't totally sold. We'll leave it that there was no significant difference for causing diabetes between the medications. The authors note also that there may have been confounding issues, such as race or smoking status, and these were not available from the claims data. Also death rates could not be examined, because insurance claims are not filed on dead people. (I would have been interested in this). When the low dose cutoff of Abilify was raised from 2mg to 5mg, then the comparison with Zyprexa showed a "small but statistically significant reduction of risk with olanzapine" (olanzapine is the generic for Zyprexa) . Huh? The risk of diabetes with 2-30mg of Abilify (considered low for addressing psychosis) was the same as Zyprexa, but when a higher dose of Abilify 5-30 mg was compared, then Zyprexa (presumably at any indicated dose) was less likely to cause diabetes. Overall, there were no difference between drugs for diabetes and the expected decrease in diabetes with Abilify and Geodon was not found. The risk of heart failure and stroke rose from 28% to 58% with some of the comparator drugs compared with Abilify. These are low frequency events and "may be considered small in magnitude and given the low incidence rates, are not likely to be clinically meaningful on an individual practice level..."
Compared to Abilify, there was an increased risk of stroke, heart failure, and any cardiovascular event with Seroquel. Compared to Abilify, there was an increased risk of stroke and any cardiovascular event with Zyprexa and Risperdal. Compared to Abilify, there was no increased risk with Geodon on any measure. In 2007, I wrote a post called Why Shrinks Don't Take Insurance. The post is a bit dated, the CPT codes have changed since then, and the reasons to not take insurance have increased. Many other doctors don't take insurance now, though psychiatry remains the number one specialty where doctors don't participate in health insurance plans. This is an updated version of that same post. Many psychiatrists in private practice don't participate with insurance insurance panels. They require the to patient pay and then the patient has the option to submit a claim to his health insurance company as an "out-of-network" service, and reimbursement is made directly to the patient. This may mean that the patient has a higher co-pay and deductible, and the hassle of doing the paperwork. It also means that if the insurance company does not send reimbursement, that the cost is incurred by the patient, the doctor has still gotten paid. If a patient sees a psychiatrist in his network, he pays the deductive and co-pay and the hassle of getting the rest of the money falls on the doctor. Now the overall expense of an out-of-network psychiatrist may or may not be lower -- some plans have excellent out-of-network coverage -- but any way you look at it, the hassle and financial risk are less if a patient sees doctors who participate with their insurance. Because many psychiatrists do not participate, it means that access to psychiatric care may be limited to those who have the money to pay up front, and the wherewithal to stick their statements into an envelope and send them to the insurance company-- after they've called a separate managed care company, gotten pre-authorization, and had Dr. Shrink submit a treatment plan. They must assume the financial risk that the insurance company might find some reason not to reimburse. Over on PsychPractice, our colleague has a post up about an insurance company that lost the claim, then wouldn't pay it because it was then submitted late, and then wanted the psychiatrist to provide references as to why out-of-network service is necessary. It's about the number of hoops, how high one must jump, and whose going to do the jumping. By not accepting assignment, the doctor has greater control about what he is paid, but the patient supply becomes limited in a way that restricts access to care. Patients who want the financial and logistical benefit of remaining in their network are often surprised to find that it's difficult to find an in-network psychiatrist (even though the insurance company often has a large list of dead providers) or that those psychiatrists aren't taking new patients, or that they see patients for brief med checks but not for psychotherapy, or that it's hard to find a psychiatrist who feels warm and fuzzy enough. From the patient's point of view, it's not fair. There's a reason for this: it's not fair. So why don't all shrinks accept assignment, why aren't they lining up to be members of insurance networks who would funnel lots of patients their way? Let me tell the story from the psychiatrist's point of view. If a psychiatrist doesn't accept assignment, s/he sets his own fee-- generally what the market will bear. This one is easy, everyone understands wanting more money, and the insurance company fees are often less that what a psychiatrist can charge if he does not participate. For some psychiatrists, that's the bottom line. For many, however, it's about much more: the paperwork and the freedom to practice psychiatry as he wants. If the psychiatrist accepts assignment, he agrees to practice according to the terms of the insurance company. He sees the patient and collects the copay. Maybe it's a flat $30 co-pay, after a certain deductible. Maybe it's 80% for the first 5 visits and 70% for the next 5 visits and 60% for all the visits after that oh but the patient is only covered for 25 visits a year and the psychiatrist has agreed not to balance-bill as part of the deal. I don't know what happens if the patient needs a 26th appointment, I believe the doc eats the fee or simply doesn't offer the extra sessions. At any rate, the doctor now needs to figure out how much the patient has to pay and it's his responsibility to collect this. Oh, but it's not 80%/70%/60% of HIS fee that the insurance company will pay, it's 80% of what the insurance company has decided is Usual & Customary Rate (UCR) which is set by the insurer. And while it might be a piece of cake to calculate if the the UCR was say $100/appointment and the patient paid $20 and the insurance company paid $80, but it's a pain in the neck if the UCR is $97.84/ session and you have to keep count of the sessions and figure out the percentages. Should I mention that different insurance policies by the same company can have different payment rates so someone has to call for each patient, verify the insurance, find out the terms, co-pays, deductibles, and this involves sitting on hold and dealing with assorted prompting menus. Did I mention that some patients have two insurance policies? When I accepted Blue Cross in the early 1990's, they would send me checks for $12.44 for 50 minute sessions. I never did figure that one out, nor could my three billing secretaries explain it. While many psychiatrists in private practice are able to manage their practices without secretarial support, a psychiatrist who practices in-network usually needs a secretary, an overhead expense his I-don't-accept-assignment friends may or may not want or need. And he now has to have an office big enough to accommodate secretarial space. I'll also tell you that while the secretary is paid an hourly fee, his ability to get paid is only as good as her motivation to follow through on dealing with the insurance companies, refiling denied claims, clarifying primary versus secondary insurance and getting the amount of the co-pays correct. And if the insurance company finds a reason not to pay, the doc is stuck--he can't bill the patient, he's just out the time/money. For a psychiatrist who does psychotherapy and sees 8-11 patients/day at an insurance company discounted fee, doing work that does not get reimbursed is a problem. A doctor may decide he can afford to take on some patients at reduced fees, but it's infuriating to be subsidizing an insurance company because the forms were filed with something coded wrong, or because the insurance company lost them. Increasingly, insurers have requirements for how the doctor practices. Medicare has it's 1.5% fee cuts for doctors who don't e-prescribe. They have incentives to get doctors to figure out "meaningful use." There are fee cuts if PQRS codes are not done. They still take paper claims, but will likely soon require electronic submissions. Every segment of these mandates requires a large investment of time and often money. Really? Click on the "meaningful use" link I provided and try to read the entire page. Here it's hard to figure out where the hoops are, much less how to jump through them. So why does any psychiatrist accept insurance? Some doctors don't get enough referrals without participating, some are simply afraid they won't so they don't drop out of networks, others practice in areas where people simply can't afford to take insurance. In some areas of the country, this is just not a mind set: everyone takes insurance, and psychiatrists just do med management. Insurance companies pay reasonably for short appointments with a psychiatrist. A psychiatrist who sees two patients in an hour makes more than a psychiatrist who sees one patient in an hour, and often the insurance companies-- perhaps eager to encourage their policy holders to seek psychotherapy with a cheaper clinician-- will pay a reasonable amount for a shorter session-- perhaps they make this worth doing. A psychiatrist who can see four or five patients in an hour and who has a secretary and has a system in place can do well financially by billing insurance companies, but it does require volume. A psychiatrist who sees patients for hour-long sessions will be disadvantaged and that's why in-network psychiatrists don't usually provide psychotherapy. What you don't hear when you read about how psychiatrists don't take insurance is that we still like what we do. I still have a job where I spend each hour listening to patients without interruption, I then put a note in a real paper file in a metal filing cabinet. I just read that the average primary care doctor spends 2/3 of their time on clerical work. I'm happy to say that I spend the vast majority of my time in e-free sessions with my patients and I'm hanging on to that for as long as I can. But it's not just about the money, it's about three things: the money, avoidance of mountainous paperwork hassles, and the the freedom to practice psychiatry in a rewarding way. When I was a child, I lived across the street from a neurologist. The neurologist shared his office with a psychiatrist, and I was told that one day, a patient walked into the office and shot the psychiatrist. Last week, in Italy, a psychiatrist was stabbed to death by a patient. We don't think about how dangerous it may be, but being a shrink has some risks. Actually, being a person has some risks, and in Baltimore, fourteen people have already been murdered this year, more than one per day. With that as a prelude, I was on vacation briefly in December; a quick trip to visit family. In the hotel, I reached for my phone and looked at my Twitter feed. After all, it's one of the ways I get the news. Only I'm thinking of "news" in terms of local and federal levels, not personal information about my friends. I read a tweet from Clink, and realized, oh my, she's been assaulted by a patient. This she puts out on Twitter. It was late, I texted, and in the morning I called. "Are you okay?" She was okay, and she still is okay, a little shaken. I'm glad Clink is okay and if you'd like to read her perspective on it, she wrote about on Patient Assault -- an insider's view over on Clinical Psychiatry News. 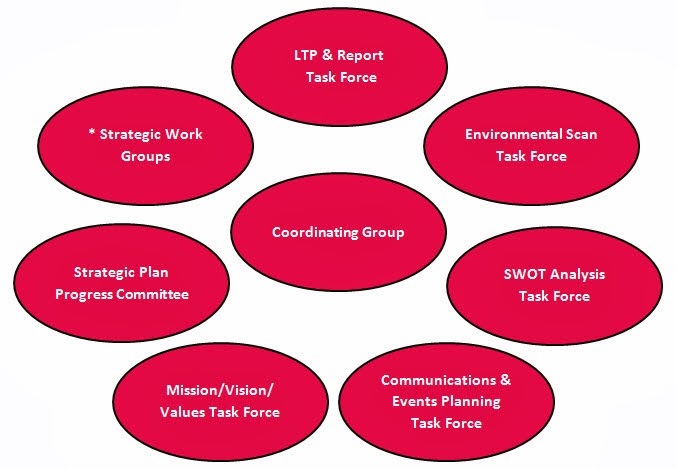 Let's Have a Task Force! I'm going to do a little problem solving here. Virginians should be embarrassed and angry that a newly appointed state mental health task force convened Tuesday in Richmond. It is the 16th task force asked to investigate the state’s mental health system. If you click through to hit the link, you'll note that this 16th task force on mental health has 36 members. Politicians love task forces, it's a way to look like something is "being done" without actually doing anything. So now 36 people, presumably on someone's payroll, have to coordinate their time to be at these meeting, write reports, and in this case, reinvent the wheel. I'll point out two other quotes from Mr. Earley's commentary, and then I'm offering my suggestions on how to fix the problem to the State of Virginia at no cost, here on my free blog, and all 36 of those people can go home and spend quality time with their families. Virginia’s inspector general warned in a May 2011 report that 200 people were turned away from hospitals during one 12-month period because of a lack of beds, even though the patients were considered a danger to themselves or others. Virginians must look at the big picture. After the Virginia Tech shootings, our task force lowered the criteria for involuntarily committing someone into a hospital. While a positive step, this has proved ineffective because there are not enough hospital beds. Meanwhile, 80 people in state hospitals are ready to go home but can’t leave because there is no affordable housing in their communities. It costs $590 per day to keep those patients in a hospital. It would cost $120 per day for them to live in a community setting. You can’t fix one tire and expect a car to run if the other three are flat. So in my state (Maryland), the average length of stay in a psychiatric unit is roughly 7-10 days. For certified patients, it gets a little longer, more like 14 days. In Virginia, we're told, 200 patients/year are released from ER and I'll assume they have similar lengths of hospital stay. Distributed evenly over the year, we're talking roughly 7.67 hospital beds if each of those patients stays for a full 14 days. Let's be generous here; let's say that you need a few more beds in case the patients don't distribute their admissions evenly through the year, so let's give the State of Virginia 12 extra beds for their population of 8.2 million. It seems they need one new psychiatry unit in a general hospital, or one extra bed in 12 units around the state. All this fuss for a dozen, or less, hospital beds? But Mr. Earley also points out that the state could save money by moving state hospital patients who are ready for discharge to a community setting, so presumably they don't even need to build a new facility, they just need to move a dozen patients to a community setting. I imagine the cost to run a state hospital is a fixed cost, so the total cost of doing this is the $120/day/patient cost of moving those 12 patients: or roughly $500,000 year. Chump change to get treatment for 200 dangerous people. One last suggestion to Virginia: change the law requiring a hospital bed be found within 6 hours of a judge issuing an order for hospitalization. I'm imagine the law came about because people were left in ERs for days at a time, as they are here in Maryland, so a humane requirement to move the process along is fine, but a law? And six hours? In that time, I'll assume the police have to get the patient, transport him/her to the ER, get through triage, clarify health insurance, do vital signs, lab work, medical clearance, psychiatric evaluation-- including discussions with family and the patient's doctor, and locate a bed (a process that entails 'calling around' (--might I also suggest they set up a Google Form that hospitals could update a few times a day with their bed availability?) -- in six hours. Maybe the patient gets brought in and doesn't need hospitalization? -- There was a misunderstanding, or he's acting strangely because his blood sugar is low, or she ran out of medicine and just need to be restarted on it....but those things take more time. Sometimes, after a patient calms down (-- having the police grab someone makes everyone angry) and gets a thoughtful look and perhaps medications, then a few hours for the medicine to take effect, and the patient may agree to sign in voluntarily. As I noted above, this makes for a shorter average length of stay. Other times, the patient can be sent home, but a psychiatrist in an emergency room can't know that until he's had a chance to observe the patient for a while, and to clarify what the outpatient follow up might be and what setting he is sending the patient home to. I don't know that the laws we have in Maryland are any better than those in Virginia. We also have problems with access to care, both inpatient or outpatient, and we also have our own mega-task force : the Continuity of Care committee. Sometimes I wonder if common sense could take care of some of these issues, but as Pete Earley notes, it requires taking a stand and then moving forward, and change is hard. I am starting to think that in Virginia it sounds to be very easy to get a gun and very hard to get mental health care. --"I'm a gun owner. It happens." President Obama has renewed his commitment to keeping guns out of "the hands of the mentally ill." See the story in Bloomberg here. In my world, I'd like to keep guns away from most people, but no one asked my opinion. 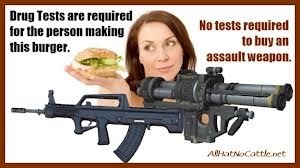 I realize there was a reason for the Second Amendment and that no one is going to go along with a repeal of the right to bear arms, so instead of designating people as targets for legislation based on having received medical treatment for psychiatric disorders, I'd like to talk about who is not safe with a gun. I'm more interested in behaviors than labels. People who are violent, impulsive, and who exhibit poor judgement. I may be alone in this belief. ~Anyone found guilty of a violent crime, even one that is minor in nature -- a bar fight, an assault. Why? Because it shows someone is capable of violence on a level that comes to the attention of authorities. ~Anyone with a history of a suicide attempt that is lethal enough to require a medical admission. Most firearms deaths are suicides not homicides. Even if the admission is for an overdose, someone who is a proven danger to themselves should not have a gun. ~People with substance abuse problems -- intoxication leads to impulsive acts and leads people to do things they wouldn't otherwise do. Obviously, everyone who has a few too many isn't dangerous, but our state law prohibits "habitual drunkards" from owning guns. While people are reported to the NCIS database to prevent gun ownership if they've been hospitalized on a psychiatric unit for 30 days, you can go into rehab repeatedly without being reported. ~People who are committed to a psychiatric unit for being dangerous. I don't mean everyone who is admitted against their will, but if it goes to a hearing and a person is found to both have a mental illness and to be dangerous and is unwilling to get treatment, then the court proceeding should include the loss of a right to own a weapon. 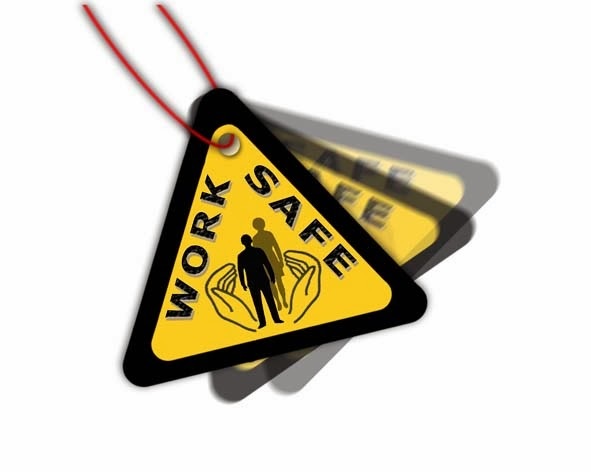 (This may make me unpopular, but it seems a reasonable level for safety). ~People who reside with anyone in the above categories. If you can't own a gun, what difference does that make if your sister leaves hers lying around. ~Anyone with any firearms misconduct at all. Period. If you're not able to be responsible with a weapon, you shouldn't own one. Which brings me to the quote of the day above. It was made by Representative Leslie Combs, a state legislator in Kentucky after she accidentally discharged her legal gun in her office in the state's capital annex building today. Apparently there are no charges being filed because it was an accident and no one was hurt, but really....if you fire a gun in a state capital even once, isn't that grounds to say someone might not be safe with a firearm? If it were not a lawmaker, would this be tolerated? "I'm a gun owner. It happens." Really? I'm astounded. I sometimes think I live in a tight little fantasy bubble where I want life to make sense and be fair. I want it to be an uncomplicated place where, when resources are limited, we assess the problems and direct the dollars to things we know will efficiently fix the problems. I'd like us to use our public health dollars to feed hungry people, to house those without some place warm to stay, to help those in need learn strategies and get jobs so they can help themselves, and to provide health care to those who are ill. In cases where there are big-picture items that lead to devastating consequences and enormous costs to society, I'd like us to target the causes with early interventions that are known to be effective: so measures to prevent drug/alcohol/tobacco abuse, better and more available drug treatments, and more resources dedicated to early education so that everyone gets the skills they need to earn a living and grow up to be a taxpayer. CPT codes that force psychiatrists to differentiate "medical care" from psychotherapy with rate changes depending on whether the psychotherapy component takes 52 minutes or 53 minutes or the session, and creates 15 different options for coding a single psychotherapy session. 68,000 ICD-10 codes for the purpose of diagnosis/billing. Really? ClinkShrink will be thrilled, code Y92146 is for getting hurt at a prison swimming pool. Prisons have swimming pools? And Y92253 is for being hurt at the opera, so Clink and Jesse can both rest assured that injuries they may incur can be coded. This helps us how? And, no, US prisons don't have swimming pools, but why should that stop us from having codes? Legislation -- complete with the cost of databanks, means for reporting to such databanks, and the cost of enforcement -- to keep the poorly-defined 'mentally ill' from owning guns when there is no such effort to keep the family members or roommates of those people from owning guns, and there is no such effort to keep guns from those who are known to be dangerous if they are not mentally ill. The laws in Maryland also include 'habitual drunkards,' -- but there is no provision to report those who goes to detox/rehab or have a second DWI/DUI from having a gun. Continued support of the Second Amendment as interpreted rather widely, despite 40,000 gun deaths/ year, some of them innocent small children. "A well regulated militia being necessary to the security of a free state, the right of the people to keep and bear arms shall not be infringed." I'm just not sure that the founding fathers foresaw a society of drug addiction, rampant suicide, and a country with a firearms death rate beyond any other country in the world. There was slavery when the second amendment was written, and I don't think the amendment included slaves, so clearly the 'right of the people' did not mean all people, or include assault weapons that did not yet exist. The second amendment has become an impenetrable devotion -- in Maryland's it's some state legislator's main forum -- as if it were a religious belief. And people with mental illnesses have taken the blame for all inappropriate uses of guns. See yesterdays Bloomberg Report for our President's pronouncement, and by all means, read the comments. Meaningful use -- a government/Medicare phenomena that creates a tremendous amount of work for physicians that does not seem to directly improve patient care (correct me if I'm wrong), and if it does, it doesn't improve patient care/outcomes in a way that warrants the time, and expense. I don't really know what Meaningful Use is (such details never stop me from ranting), but I know the government will give me money if I'll convert to electronic records and use it in a particular way. Otherwise, for every Medicare patient I see, I must charge a lower fee if I don't use e-prescribing (which is not conclusively shown to improve patient outcomes) a certain percentage of the time, and that in 2013, to prevent an drop in my fees, I needed to put a PQRS code on one patient's insurance claim form. I could not figure out what that meant, so I asked an APA assembly member who runs a hospital. After two separate half-hour phone conversations, one in-person meeting, and I have no idea how many hours of his time, he provided me a list of options which included things like "medications not reconciled, reason not given." I opted to list on one patient's claim a code indicating he was not a tobacco user, and I'm told this was good enough to keep my fees from dropping 1.5% next year. What's meaningful about this? CRISP/Government portals of patient records collected without patient knowledge/permission. These may be very helpful for emergency care in crisis situation, and perhaps they allow for data/outcome collection that will be used for outcomes research, but they cost a lot of money and after the NSA scandal, are we all comfortable with the government keeping our health records without our expressed permission? Are we sure our health information won't bounce back at us in unwanted ways? Hospitals that spend HUNDREDS OF MILLIONS OF DOLLARS to replace existing, function, Electronic Medical Records when there are people sleeping on cardboard boxes outside their doors, and when such medical records increase the amount of time clinicians spend with computers and decrease the amount of time they spend with patients -- and don't necessarily decrease medical errors. This feels wrong to me on so many levels: there are shortages of physicians and we're diverting their attention to clicking through screens and checking off boxes that have nothing to do with the care of that particular patient, adding hours a day to physician workload, promoting physician burnout, and diverting funds to this project that could be used to pay for health care for human beings. Government-run health insurance exchange(ACA) websites that are basically unusuable and create too much frustration for the average person --especially the average person with medical or psychiatric issues-- to work efficiently. One of my patients was blocked from signing up because he forgot his password, and the recovery question involved his pet's name, only he's never had a pet and was locked out of the system. Hospital medical records that afford no privacy because thousands of people have access to them and patients can not opt out, other than to get care at another institution. But if you want information about a patient from another institution, with the patient's permission, barriers are put in place to make this next to impossible. I recently requested records from a local hospital ten minutes from my office, and two weeks later they sent me a form saying that the authorization my patient signed was not good enough, it had to be signed on their specific form. How crazy is this? Perhaps it's because that hospital's administrator was so busy looking up my PQRS codes that he wasn't updating their information release policies. That my state is proposing to spend money on programs to increase cultural awareness and competency on number of measures when people need food/housing/healthcare/job training. I'm all for treating people respectfully, but maybe it would be cheaper to fire those who are demeaning to others rather than to set up training programs to make them 'culturally aware.' (Please forgive my cynicism, in a world where everyone is fed, housed, has healthcare, heat, education and jobs, I'm all in favor of programs to increase sensitivity to cultural issues). "That my state is proposing to add Assisted Outpatient Treatment (read: forced care) when we don't have enough information to know if this really works without other services in place. 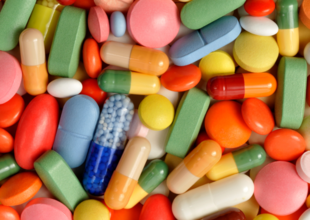 We don't have enough resources to care for people who want care, and this will entail forcing people to take medications that are known to have detrimental cardiovascular effects in some people, distressing side effects in others, and may include forcing care on people when that care does not decrease their symptoms. If I thought the legislation was truly about getting care for the very sickest of people -- those 'dying in the streets with their rights on' -- I would be in favor, but I believe it's a "do something" measure to address spree shooters and has been tied to federal funding. Thank you for letting me rant. That's what this was, and I appreciate it. I feel much better now. With a thought that was quite a nugget. So they placed him in "the mentally ill" bucket. When I first saw this survey, I told Dinah it was a terrible survey and that she should take it down, because by even asking people 'who are "the mentally ill" ', it lends credence to the concept that one can put everyone with a mental illness -- or even more simply, a "mental health problem" -- into the same bucket. This phrase -- "the mentally ill" -- promotes the stigma, stereotypes, and myths, that many people have about mental health problems of any sort. It also is a phrase that dehumanizes people by labeling them by their disease. "People first" language is preferred. "The person with schizophrenia", not "the schizophrenic." Labeling people as their disease (or illness or symptom) dehumanizes people. They are no longer a person, but a disease. "Diabetics" don't seem to be bothered by this so much, but in psychiatry our patients continue to face discrimination, stigma, misunderstanding. By using these terms -- as many politicians and journalists still do -- it uses language to convey that it is okay to define people as their disease, that this is the most important thing to know about them. By breaking them down into people with, it is harder to say things that apply to all of them. "The mentally ill are violent." "People with mental illnesses are violent." Are there surveys about Who are the Physically Ill? Or, Who are the Cancerous? Or the Blacks? The Jews? The Gays? You get my point. Unfortunately, the survey did not have responses that said, "None of the above, because people are not defined by their illness and to say otherwise would be stigmatizing." So, now that I have declared my bias against this term and this survey, I will share my thoughts on the results, anyway. The answers suggest that people are all over the place about what characteristics they deem necessary to put others into "the mentally ill" bucket. The most consistent themes seem to be those of persistence and severity. The longer that one has a condition, and the more severely it affects one's life and relationships, the more likely one is placed in the bucket. I was also surprised to see bipolar disorder scoring almost as highly as schizophrenia; same with mood stabilizers like lithium scoring right up there with antipsychotics. Since there were already some comments to my comment, I'll address some here. Liz used to feel hopeless and hate herself when accepting the "borderline" label. She has since changed her perspective and feels better. Good for you. Three people (Not me and two Anonymi) thought the survey responses didn't fit their answers; "pretty impossible to answer because so many of the questions required more information." While I agree, I have come to see that this forces people to address their assumptions. This is good for the stigma discussion. Dr Reidbord was quicker to get this than I was, finding the results revealing that this term is used in a variable and nonspecific way, often used "when the speaker can't express himself, for either linguistic or political reasons, more precisely." "It's easy to pigeon hole and hard not to sometimes." I googled "mentally ill bucket" and found only ten links. The best is "There are no excuses" from K. Wolf-Madison, who wrote more eloquently along the same line as I do above. "The marginalizing of the mentally ill with those words continues to damage us all." Results of the Survey on Who Are the Mentally Ill? December 10, 2013 - December 22, 2013. Respondents were solicited through social media, including blogs, listservs, Facebook, and Twitter. Respondents were not limited to the United States. Please note that the survey was not validated. The data below was pasted directly from the Google "Summary of Responses" with no analysis or interpretation.